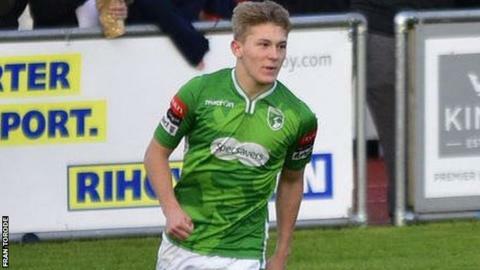 Guernsey FC have extended the loan of Bristol City youngster Jake Andrews for another month. The teenager has scored five goals in four games for the Green Lions since joining the club in December. Meanwhile, Guernsey boss Tony Vance has added another Robins youngster on loan by signing left-back Cameron Pring. He has agreed a month-long deal at the Isthmian League Division One South club and replaces Kodi Lyons-Foster, who has returned to Ashton Gate.